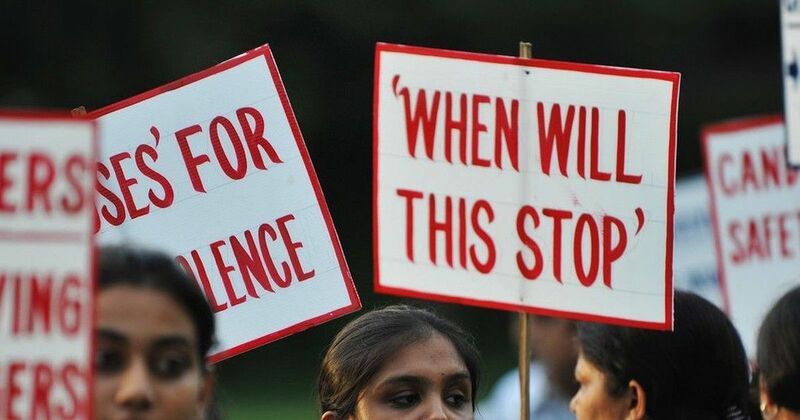 Unidentified persons allegedly raped, tortured and killed an eight-year-old girl belonging to a nomadic tribe in Kathua district in Jammu and Kashmir last week, Rising Kashmir reported on Thursday. The child’s body was found on Wednesday morning in Hiranagar area, after locals informed her family. He claimed that though the police registered a First Information Report, they did not investigate. After the child’s body was found on Wednesday, the police sent it for autopsy. “There were torture marks and human bites on her body. She was also allegedly given electric shocks,” Talib Hussain, a leader of the Gujjar community, told Rising Kashmir. He also said that her legs were broken and she had been raped. Angry locals blocked the Jammu-Pathankot highway on Wednesday, demanding justice for the child. Subsequently, the police formed a Special Investigation Team to investigate the incident “We have filed a First Information Report. A Special Investigation Team has been constituted,” Jammu Inspector General of Police SD Jamwal told NDTV. Sub Divisional Police Officer Border (Kathua) Raghuvir Singh will head the team. The Opposition National Conference and the Congress walked out of the Jammu and Kashmir Assembly on Thursday in protest against the incident. They were joined by a legislator from the ruling People’s Democratic Party and an independent MLA. Parliamentary Affairs Minister Abdul Rehman Veeri told the Assembly that a speedy inquiry has been initiated into the incident. However, Congress MLA Vikar Rasool said that atrocities were being committed on minorities in the state. “Why were policemen doing nothing for last one week; people are angry and protests are being held,” he said. PDP MLA Chodhary Qamar Hussain joined the Opposition in protests and asked the state government to table the report within a day. Jammu and Kashmir Chief Minister Mehbooba Mufti said those guilty of the crime would be punished.